Talking to Bessie Byrnes, producers of documentary Tunnel Vision. Bessie Byrne the producers of the Ivan Hexter documentary, Tunnel Vision, which will be screening at this year’s Melbourne Documentary Film Festival. We had the chance to chat to Bessie Byrne about the film, and her experiences working in the documentary scene. For the chance to check out Tunnel Vision, and other fantastic documentary films, head over to the Melbourne Documentary Film Festival website to grab your tickets! What first got you interested in filmmaking? I studied film and TV at school and then went on to do Media and Communications degree just as the 24 hour media cycle was ramping up. I felt that the majority of journalism was becoming more superficial and we were encouraged to read 100 headlines but not engage with any issues. In Australia at least 80 per cent of what you see in the news comes straight from press releases. And huge important issues like climate change are not seen as newsworthy but what the Kardashians eat for breakfast is!? After seeing a few really inspiring docos like Al Gore’s An Inconvenient Truth I realised that well made documentaries (as well as other quality long form journalism) could challenge this. A successful documentary has the power to reach and connect with millions of people. You can bring expert information, minority voices and untold stories to the public in a really accessible and interesting way. On top of this film can be really beautiful and entertaining and it’s a challenging art form that really intrigues me. What are some of your main influences? I always wanted to be a documentary maker but most of the filmmakers I looked up to early in my media career were old men like John Pilger, Werner Herzog and Yann Arthus-Bertrand. So I thought I’d have to become a bit wiser before I got involved! As I studied the industry more I realised that the next David Attenborough wasn’t going to be a woman unless people like me pushed forward and made space for girl power in the film industry. I always enjoy and identify more with films that are made by females of have female protagonists so I really believe it’s important for women to have female driven stories to look up to. Believe it or not, Madonna makes some good documentaries. It’s still a real problem in the Documentary industry but here in women make up more than 50 per cent of people involved in the industry and people like Kitty Green (Ukraine is Not a Brothel) and Jennifer Peeadom (Sherpa) and the team responsible for The Opposition are having great success. What element of filmmaking do you enjoy the most? All aspects of documentary filmmaking interest me, which is very lucky given the current funding situation means that doco filmmakers are often required to do a bit of everything! My favourite part is interviewing people. Helping people tell stories that will have an impact on society makes me feel really privileged and proud. I love having the opportunity to ask questions and listen to the passion and fear and courage and optimism and whole spectrum of qualities and feelings that are on display when people are opening up. From bee farmers to war veterans everybody has a story to tell and there’s a real art to helping people tell that story. I also really enjoy producing because you have to keep the big picture in mind and make sure everything is on track to be a success. There’s no point making a film that nobody is going to see or be able to engage with. The biggest problem for me recently has been dealing with copyright laws in Australia. According to Patricia Aufderheide, who is a University Professor and Founder of the Centre for Media & Social Impact. Australia has the second strictest copyright laws out of all the Liberal Democracies. There’s a growing school of through that copyright laws have a negative impact on the arts but it’s also important that artists get proper compensation for their work. In Tunnel Vision we use about three and a half minutes of news footage from Australian TV reports on the East West Link. Originally we thought that we would be permitted to use this footage for free under the ‘Fair Dealing’ clause but when we’d finished editing the film we found out we were up for at least 60K is licensing fees! Ivan Hexter, Marion Crook and I spent months negotiation with the stations to get these fees reduces down to around 12K all up. We also use 30 seconds of archival footage that is now owned by Brithish Pathe and we owe around 8K for that too. The licensing fees are over 50 per cent of the budget and considering we’ve been working on this doco with barely any financial compensation for years we’re really opposed to handing over everything we raise to big television networks. So far we’ve managed to pay off the world festival rights fees so the film is allowed to tour festivals while we keep trying to raise funds to release the film publicly. You can donate via our Documentary Australia Foundation fundraising page. What do you think makes a great film? You can get away with a lot of you have a good story. If you’re saying something interesting people will forgive any technical problems. A story that makes people feel something is really beautiful. Do you engage in social media as part of the filmmaking process? Do you think social media platforms are becoming a bigger part of filmmaking? These days Hollywood feature films have marketing budgets that are two or three times the film budget. Obviously we don’t have that, so we have to engage with our personal networks and interested groups via platforms like Facebook and Twitter. Our supporters have been really generous with their time and money and we’re still really engaged with a bunch of groups of people who are fighting mega toll road projects across Australia. Social media is great for this and the people we talk to know that we really care and want to use the film and share it to help with their causes. What can you tell us about your film? 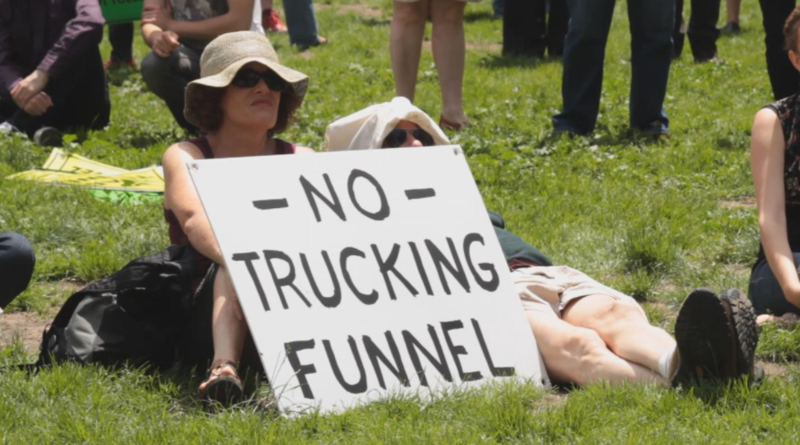 Tunnel Vision is a recently completed documentary about urban environmental activism and social justice. It’s a gripping story about universal issues that inspires people to engage with democracy. 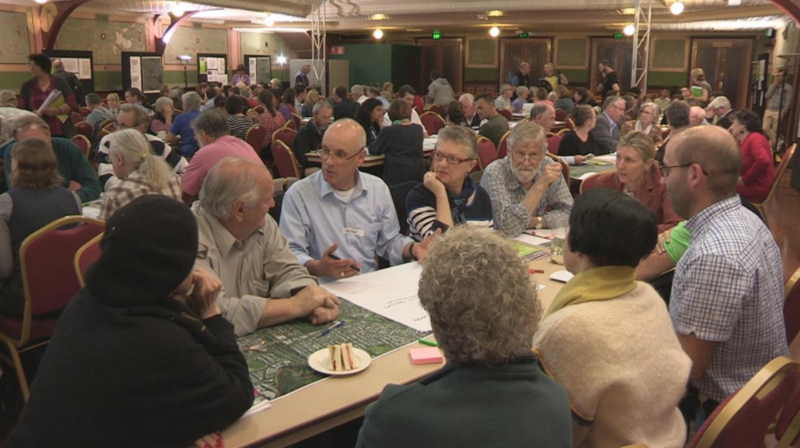 Tunnel Vision is a documentation of the activists and citizen groups that came together to fight an $18 billion toll road that would have significantly changed Melbourne, the East West Link. 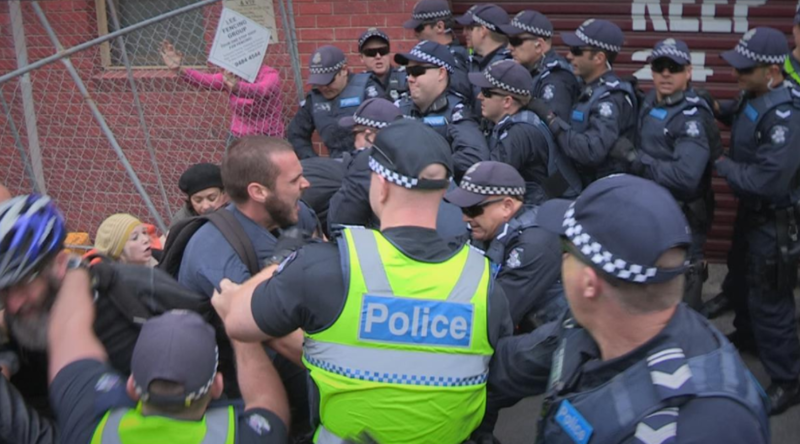 It was the most pervasive news story out of Melbourne in around 10 years and the outcome has had implications across Australia. The campaign was a multi-faceted fight for transparency and more equitable, progressive and environmentally friendly outcomes. The management was corrupt, the business plan was flawed and there have been numerous calls for an inquiry into how the project got so close to being built. The film looks at the themes of sustainability, urban planning, healthy cities, environment outcomes, economics, passion, community activism and much more. Ultimately, it’s a global heart-felt story of people power and mass mobilisation. Against all odds, the people won. 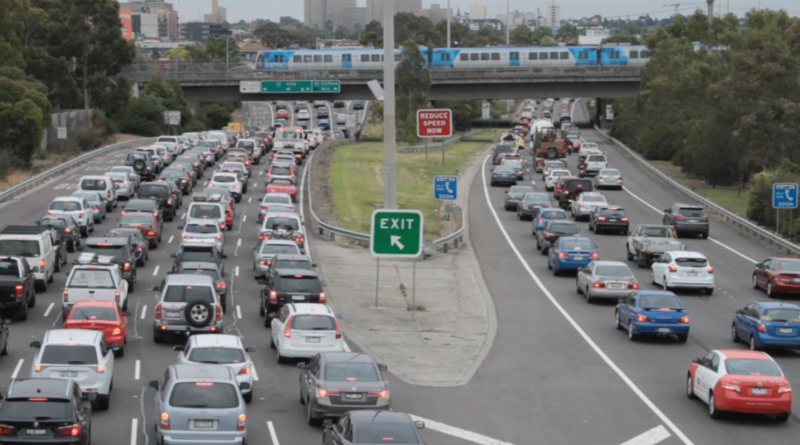 The East West Link is still topical and urban planning is becoming a popular issue. It was great to hear that Roe 8 in Perth has been cancelled and the battle to stop Westconnex in Sydney is heating up. Work on the new Melbourne Metro train line has begun and the government seems slightly more cautious about ramming big roads projects on us. There is however a long way to go before we can be sure that Australia will priorities sustainable transport options. I’m working on a film called Your Dreams – We will Build. It’s about the global cement industry and how lobby groups and big Australian companies are screwing over the third world. Believe it or not the cement industry is directly responsible for 8 per cent of carbon emissions! Ivan is directing a film based on the life of Uncle Jack Charles and both of us have lots of ideas that we are developing together. Do you have any advice for anyone who wants a career in filmmaking? Life’s too short not to do something important. Sharing stories that humanise, inform, inspire or even just make people laugh is really vital and a huge part of our culture. If you’re really passionate just go for it and the details will work themselves out. Just be prepared to ask for funding from all your friends and family at first.